RE/MAX has launched a new online site for Millenials …. Millennials are ready and willing to buy their first home, but many first-time homebuyers don’t know where to start. Show them the way, and you’ve instantly tapped into a new segment of business. That’s why RE/MAX created a new resource to help you engage with potential clients on social media. 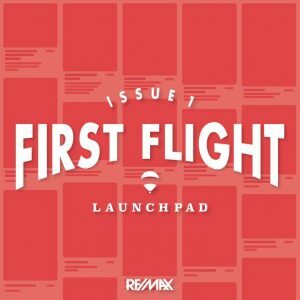 Introducing First Flight, a Pinterest magazine of curated content that helps you work with first-time homebuyers to navigate the daunting and often confusing process of buying a home. From for sale to sold, each issue in the four-part series focuses on different stage of home buying so you can make your clients’ first buying experience a great experience. Each board will serve as an issue of First Flight and will highlight a different stage of home buying: thinking of buying a home, starting the process, the middle of the process, and settling in. At any stage, the value of working with an experienced real estate agent is front and center.